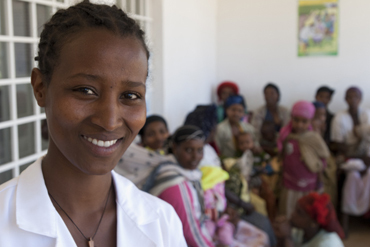 A spotlight on the critical role women play in creating healthy, stable and thriving communities around the world. 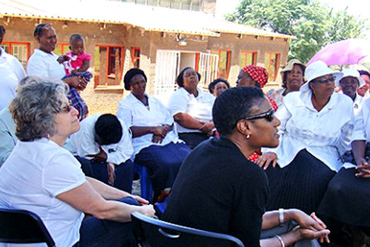 This week we will showcase the vital role women have in the advancement of their communities – as political and spiritual leaders, educators and advocates, health workers and law enforcement personnel, as well as in many other capacities. 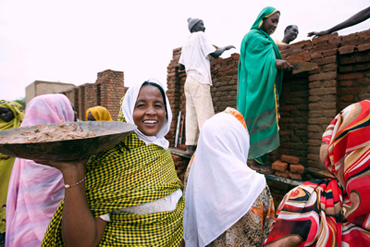 This International Women’s Day, Devex is launching She Builds, a campaign to showcase innovative solutions at the intersection of women and development. Read more about our campaign, our partners and how you can contribute. No matter the odds, many women around the globe are taking on leadership roles in promoting peace and improving public services. 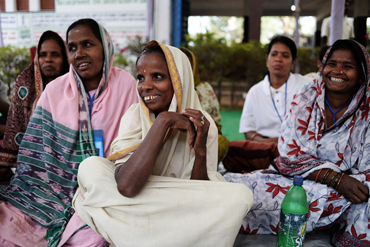 Here are some of the best practices that empower women to create healthy, stable and thriving communities. How is the Millennium Challenge Corp. integrating gender equality and social inclusion into its economic growth and poverty reduction programs? Outgoing Millenium Challenge Corp. CEO Daniel Yohannes explains in this exclusive video interview with Devex. Incorporating gender into all activities and programs in a development portfolio is the most effective way to address women empowerment. Chemonics President and CEO Susanna Mudge offers 3 tips. Today, agriculture is still considered a man’s world despite the 602 million women across the globe who are smallholder farmers and landless workers, and that women produce between 60 and 80 per cent of the food in most developing countries. So what would happen if women did not farm? The EU will not let up its push for gender equality and women's empowerment, writes Fernando Frutuoso de Melo, the EuropeAid director general, in an exclusive guest commentary celebrating International Women's Day and honoring #SheBuilds. The development community has made amazing progress on women’s rights, but much work remains to be done. Jill Sheffield, founder and president of Women Deliver, explains why we need to invest more in women for everyone’s future. 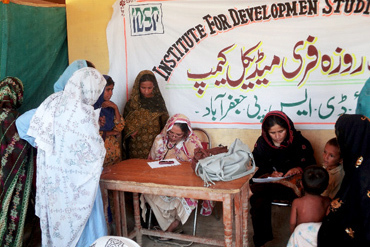 Relief and development workers routinely get vaccinated for infectious diseases. But what can they do against some of the biggest occupational hazards: stress and burnout - and how can women play a leadership role? Teri Sivilli explains. 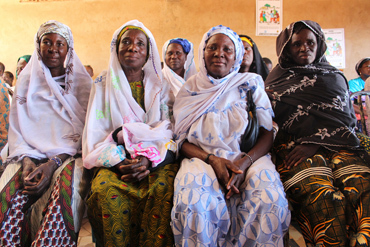 A post-conflict Mali faces many challenges in rebuilding healthy and productive communities. But first among them is access to water and sanitation for everyone, everywhere. 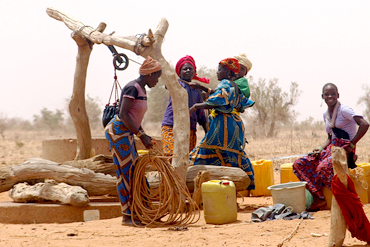 WaterAid’s Fatoumata Haidara explains. 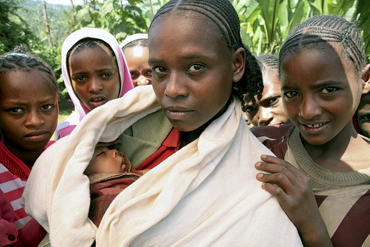 More than 200 million women today lack access to reproductive health services. But the tide is turning, says Marie Stopes International's deputy director of international programs. Here's a look at some of the changemakers. Maanda Ngoitiko ran away from her Tanzanian home at age 15 to escape marriage and pursue an education. Now an adult with children of her own, she tells Devex how she’s continuing to help Maasai women and girls pursue their dreams and become leaders in their communities. Schooling models haven't been adapted for decades and The Malala Fund is shining the spotlight on key educational issues that need fixing and innovations that show promise. Check out Devex Impact reporter Adva Saldinger's video interview. 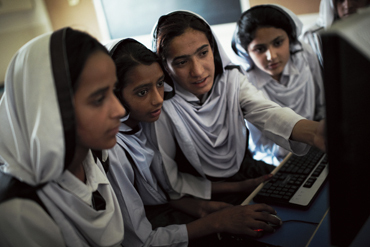 What can the international aid community do to improve development impacts on girls' education? 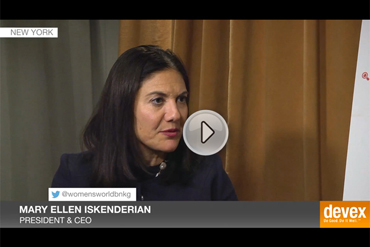 Check out what Women's World Banking, Intel and General Mills had to say in this video montage. To empower women and girls, you need to work with men and boys. Why? 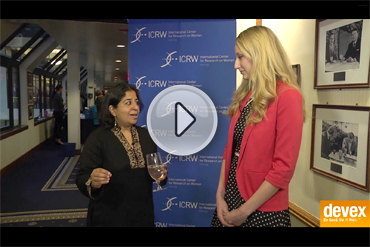 In this video interview, we asked Priya Nanda from the International Center for Research on Women. There's a catch-22 of education initiatives for tribal women when there aren't nearly enough jobs on the reservation or in nearby communities. In this video interview, JBS International's senior Native American specialist explains what might help solve the problem. 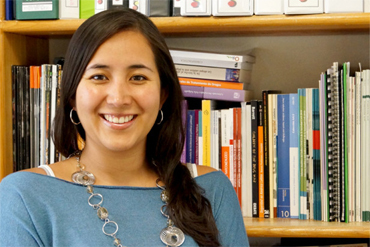 Cecilia Garcia Ruiz, an advocate for young women in Mexico, says that when it comes to serving youth, "every idea counts." In the Philippines, one of the world’s top human trafficking hubs, a local NGO has been recognized for its unique and multifaceted approach to addressing the problem. The Visayan Forum Foundation shares with Devex its best practices for fighting modern slavery. What special qualities do women generally have — and men often lack — that help them set up successful social enterprises? A guest commentary by Noreen Marian Bautista from the Philippine Institute for Social Enterprise and Development. A focus on women’s contributions to economic growth, and the international development community’s role in building opportunities for women to formally participate in local and global economies – as bank account holders, farmers, small business owners and more. 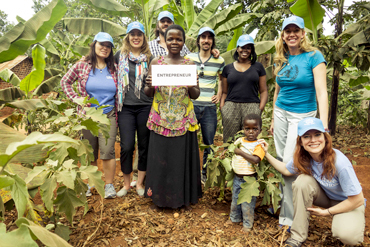 Here are some of the tools governments, companies, nonprofits and aid workers around the globe can provide women eager to start businesses and help to build the economy. Which of the world's 10 largest food and beverage companies are making progress empowering women in their supply chains? Check out this infographic to learn more. For many corporations, pushing for women's empowerment isn’t just the nice thing to do — it’s critical for making money. Devex Impact reporter Adva Saldinger asked representatives from Coca-Cola, The Gap, Qualcomm and General Mills about their business case for women. As we finalize a new global development agenda, let’s make sure that it empowers women through trade, writes Arancha González, executive director of the International Trade Centre. A guest commentary. Coca-Cola is increasingly realizing the benefits of helping women entrepreneurs in developing countries — not only to empower them but also engage them as business partners. Learn more in this video interview by Devex Impact reporter Adva Saldinger. 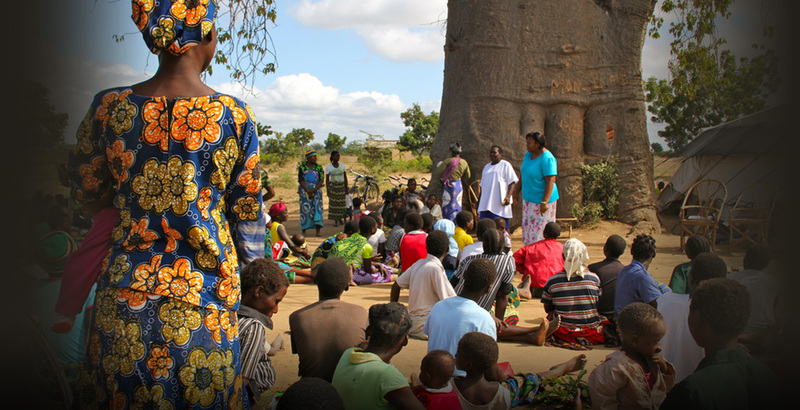 Here's what women need access to in order to contribute to — and benefit from — economic growth. A guest commentary by JBS International's Mary Fontaine. Overcoming inequality and empowering women at work means understanding local contexts and devising cross-cutting solutions to address deprivations and constraints. The World Bank's Jeni Klugman and Matthew Morton highlight the need for bold, coordinated, multisectoral solutions. 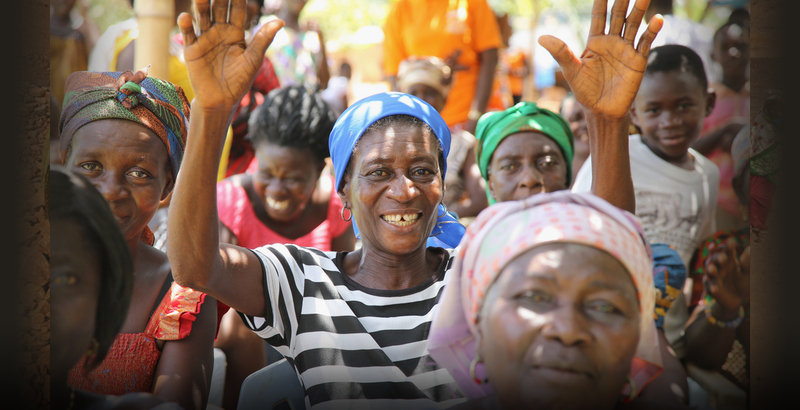 Financial literacy would help to level the playing field for women farmers and help them realize their potential. The Rainforest Alliance's Tensie Whelan explains how. 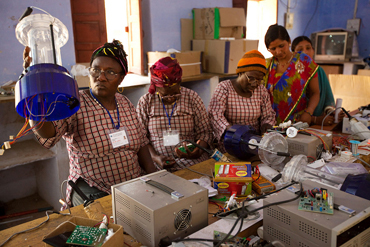 Empowering women in business expands economic opportunity for all, argue the International Finance Corp's Henriette Kolb and Maura O'Neill, USAID's former innovation chief, in this guest commentary. 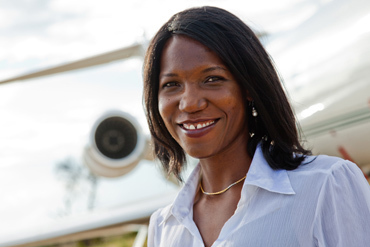 Susan Mashibe gained a commercial pilot’s license abroad before returning to her native Tanzania to launch an aviation logistics company. How can we help other women succeed like her? A guest commentary. Let's remove barriers to women entering the workforce. Here's why. 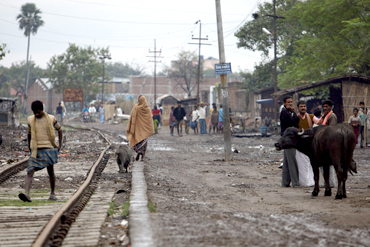 A guest commentary by the U.S. Agency for International Development's Carla Koppell. 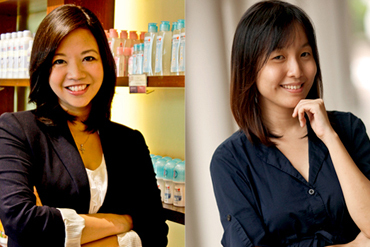 Young women entrepreneurs: Are we ready for this emerging economic force? Women are eager to work in a variety of jobs beyond handicraft and other labor-intensive, low-paid options. But is the international development community supporting their plight? A commentary by Mary Fontaine, JBS International's gender practice lead. 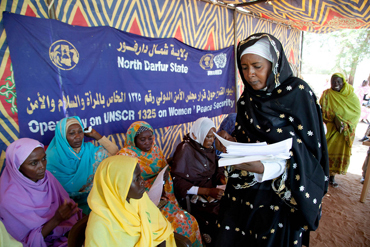 How should DfID apply UK gender equality law? The United Kingdom will soon legally require all its development and humanitarian aid efforts to consider gender equality. How will this affect DfID's work and how should the agency apply the new law in its programs? Several partners shared their thoughts. 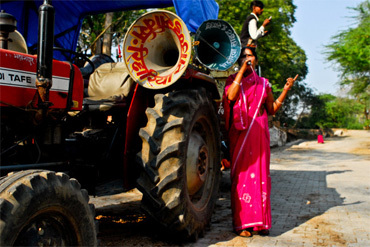 Female truck drivers for gender equality? Sometimes new opportunities for gender equality are right in front of us, but we just miss them. A video interview with Julie Katzman, executive vice president and COO of the Inter-American Development Bank. She Builds Innovations will feature leaders and their vision from a variety of realms – including politics, science and development. 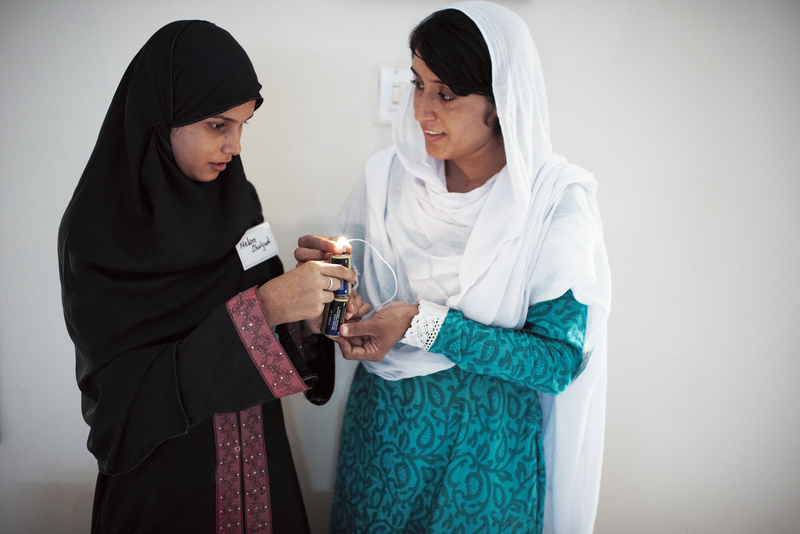 We will shed light on breakthrough innovations by women and girls that are advancing global development. And we’ll explore new ideas to advance gender equality and development at home and beyond. 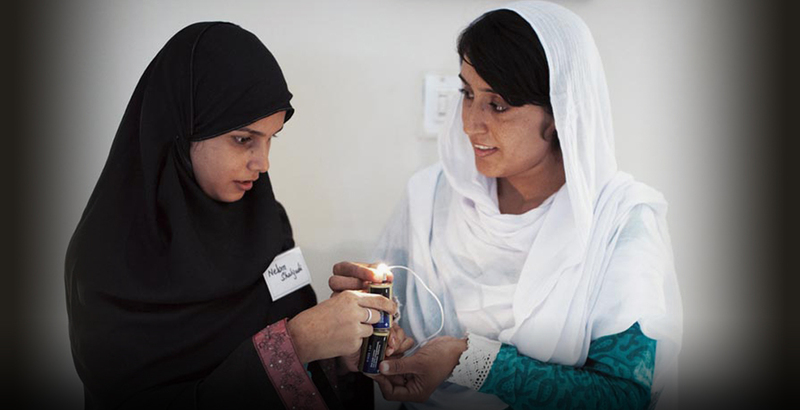 Here is an overview of some of the most surprising ways #SheBuilds innovations, with a look to how the international community can most effectively mobilize support around these innovations to advance the lives of women and girls worldwide. Why does a bank need a "head of girls," and how is it using sports to empower girls? A guest commentary by Standard Chartered Bank's Payal Dalal. 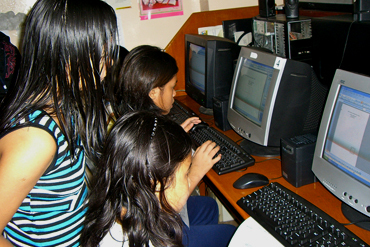 Access to the Internet can help address age-old inequalities and reduce poverty and illiteracy among women, writes Cherie Blair in a guest commentary for She Builds. Here's how. As we finalize a new set of global sustainable development goals, it’s time to pursue inclusive growth that empowers women, writes Leith Greenslade, vice chair at the Office of the United Nations Special Envoy for Financing the Health Millennium Development Goals. If other industries can use predictive analytics, why can't we? 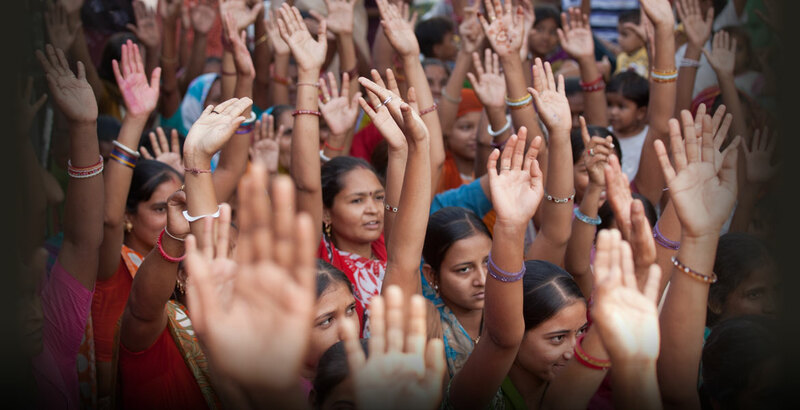 It can help us more directly target resources to empower women and girls and boost global development, argue JBS International's Susan Hayashi, Manu Singh and Radha Gholkar in this guest commentary. True innovation, writes UNOPS’s Sanitha Pathiyanthara, may be less in the application of a new technology and more for the development community to better understand the people we’re trying to serve. A guest commentary for She Builds. Despite considerable buzz, a vast majority of the world’s poor have yet to embrace clean cook stoves. It's time to apply for-profit business models to expand their use, argue Kathleen O'Dell and Sophia Peters of Deloitte. During my recent trip to Uganda, I witnessed a new paradigm of sustainable living that puts family planning at its core. I was impressed. A guest commentary by Haroon Mokhtarzada. Social norms on gender equality and development: How do they apply to workplaces, organizations and systems? A guest commentary by Aruna Rao, executive director of Gender at Work. 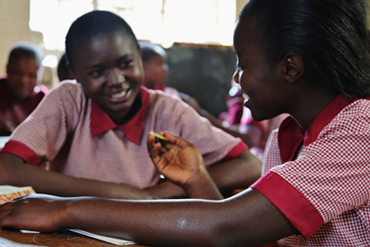 In Kenya, a new organization is helping schoolgirls complete secondary education. Here's its innovative approach. 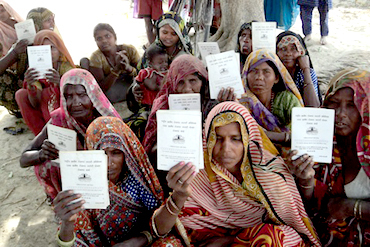 What are the main challenges of mainstreaming gender issues into development programs? One is dealing with country-specific contexts, according to Kelly Cronen, Chemonics’ director of gender practice and a former anti-trafficking adviser at USAID. Here are several ways organizations around the world can better manage knowledge and in turn, boost their success. A guest commentary by JBS International’s Mary Fontaine. Gender advocates, take note: Here are five major constraints to integrating gender into programming — and how to overcome them. A guest commentary by Land O’Lakes’ Mara Russell. Feminist methodologies can help us better understand the impact of foreign aid and development on the people we’re trying to lift out of poverty. Here’s how. A guest commentary by JBS International’s Leith Lombas. Within the development community — and in particular regarding women's empowerment — everyone is talking about data: how to collect it, analyze it and use it to improve monitoring and evaluation. Find out more in this video montage. In more than half a dozen countries, Women's World Banking and its local partners have introduced an innovative product to help women not only focus on the health needs of their loved ones but also their own. 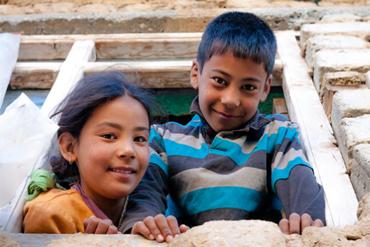 A new cast of characters is advancing innovative solutions to global development challenges. A guest commentary by IDEO.org's Sean Hewens. The final week of She Builds will be dedicated to girls and the role that they play for our world's future. We'll also highlight the role of women in preparing the next generation of leaders, as well as in fostering an environment of peace and prosperity for all. A special focus will be on barriers many girls face in achieving their full potential, including early and forced marriage as well as the challenges associated with child pregnancy. Women and girls are creating a better future for themselves and all of us – here’s how the international community can empower them. Britain will do everything it can to assist women and girls around the world, writes Justine Greening, the U.K. secretary of state for international development. An exclusive guest opinion for She Builds. 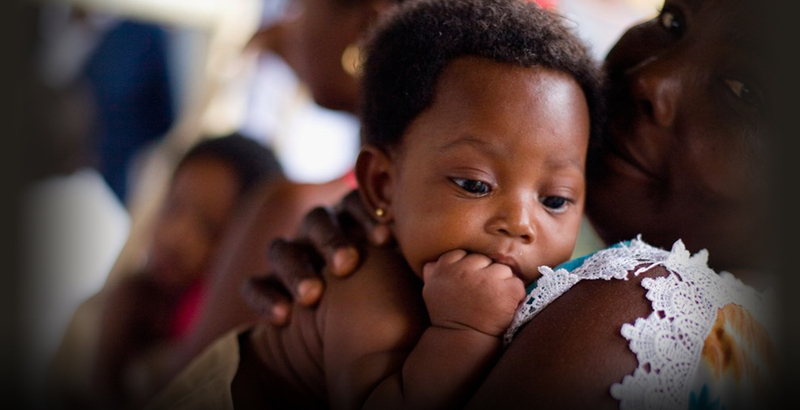 How can we create a safer and healthier world for the next-generation of women? A guest commentary by Ashley Judd, the actress, humanitarian and ambassador for PSI, the global health group." Let's change the way we think about leadership — as a way to collaborate, build strength collectively and encourage inclusivity. 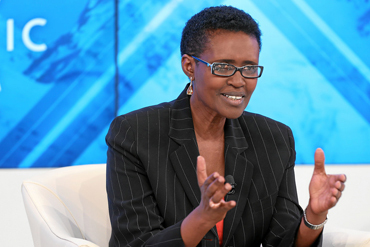 An exclusive guest opinion by Oxfam International’s Executive Director Winnie Byanyima. If it's true that women hold up half the sky, then it's even truer that girls hold up half the future, argues Kristalina Georgieva, the EU's top humanitarian, in this exclusive guest opinion. Let’s engage women more in peace talks and efforts to keep communities safe and secure — the results speak for themselves. A guest commentary by Johanna Mendelson Forman of Creative Associates. 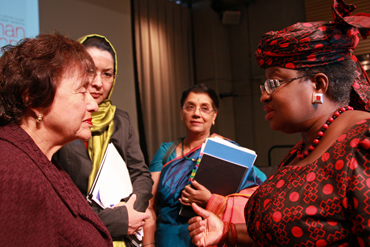 It’s long, hard road ahead to sustaining high-quality girls' education in the post-2015 development agenda. Why? 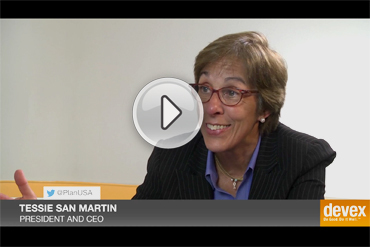 Devex reporter Michael Igoe interviews Tessie San Martin, president and CEO of Plan USA. As long as women continue to fight for their basic human rights without funding to support their work, their potential — and that of their communities and countries — won't be realized. A guest commentary by Serra Sippel, president of the Center for Health and Gender Equity. 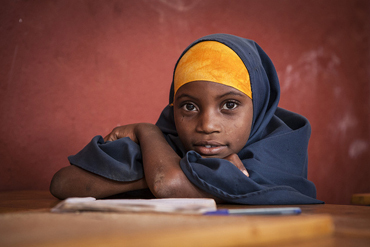 In the developing world, many girls drop out of school by grade 7. Why — and what can be done to keep kids in school? Sergio Ramirez-Mena, chief of party for Chemonics on STEP-Up Zambia, explains in this video interview. 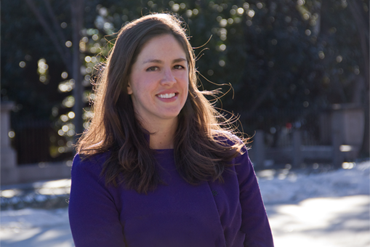 Mariacarmen Colitti has worked her way up the ranks of the U.N. Office for Project Services. Here’s what she’s learned in the process. Here's how we can make the sexual health and reproductive rights for women and girls a central tenet of international development policy. An exclusive guest commentary by Renate Baehr, executive director of DSW — Deutsche Stiftung Weltbevölkerung. Progress on women's empowerment has been "uneven," says Melanne Verveer, the former U.S. ambassador-at-large for global women's issues. Where is it lacking the most? Watch our video interview. Inspiring encounters with three young women who are thriving after suffering from gender-based violence, recounted by Indrani Goradia after her recent trip to India. 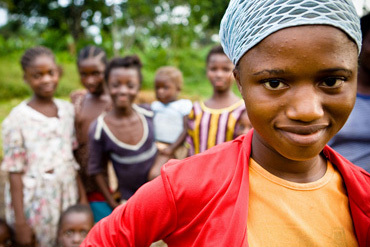 Neglected tropical diseases significantly affect women and children — here’s how to tackle them and in turn, boost global health and gender equality. An exclusive guest opinion by Michael Marine, CEO of the Sabin Vaccine Institute. Universal screening during health care visits is a logical first step in addressing violence against women. Here are four things health institutions must keep in mind. How can we ensure that its work on gender equality isn’t lost once public and private aid budgets dry up? A guest commentary by IREX Vice President Mark Whitehouse. 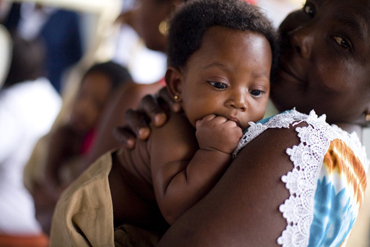 Worldwide progress on maternal health is under threat from a European citizens' initiative, Austrian MP Petra Bayr and Dutch MEP Sophie in 't Veld argue in this exclusive guest commentary. Here’s why. 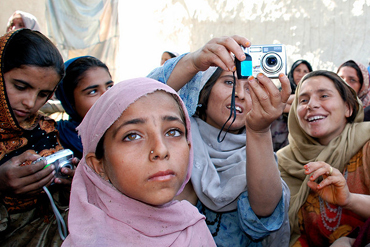 Here's what you can do to empower women and girls. Hint: You don't need a podium or deep pockets. A guest commentary by Purnima Mange, the former top U.N. official who now leads Pathfinder International. 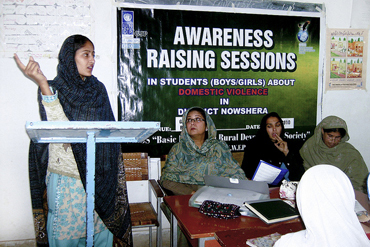 Adolescent girls are ready to roll up their sleeves to build a better world for us all. Let’s empower them. 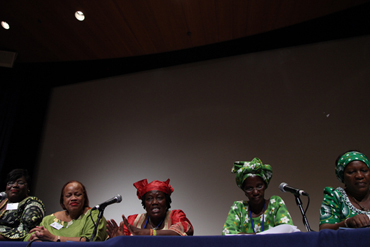 A guest commentary by Sarah Degnan Kambou, president of the International Center for Research on Women. Headlines coming out of India tend to portray women as victims of violence — but there's more to that story. A guest commentary by Leaders’ Quest founder Lindsay Levin and CORO co-founder Sujata Khandekar. 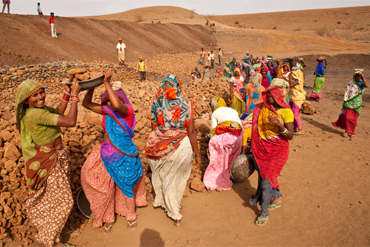 When it comes to empowering women and girls, there's a tendency of talking the talk but not always walking the walk, writes Jan Mattsson, executive director of the United Nations Office for Project Services, in this exclusive guest commentary for She Builds. Girls can be global development leaders today if we seriously engage them in decision-making, argues Charles Badenoch, World Vision’s vice president for global advocacy. Here’s why. 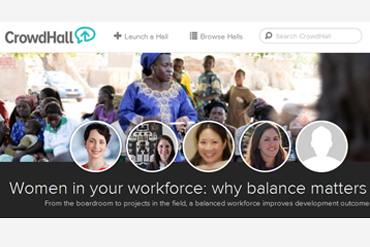 From the boardroom to projects in the field, a balanced workforce improves development outcomes. Devex invited five female thought leaders in development recruiting and HR to answer why — and how to better facilitate the leadership of women. Here’s a selection of the most popular questions and answers from last week’s CrowdHall. Women are nowadays much more than household managers — but that mindset remains. That's why ADB believes women deserve better employment opportunities that can in turn bring social and economic gains to the whole of Asia-Pacific. Women professionals play a vital role in promoting the safety, security and leadership that can make the difference for communities facing post-conflict transitions. Devex reporter Michael Igoe interviews Charito Kruvant, president and CEO of Creative Associates. How will we finance the post-2015 SDGs? How will we finance the post-2015 Sustainable Development Goals in the changing development landscape? Leith Greenslade, vice chair of the Office of the Special U.N. 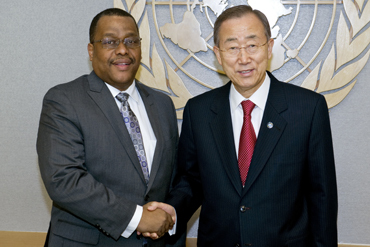 Envoy for Financing the Health MDGs, tackles the tough question in this video interview. Female genital mutilation remains a global problem — but the mindset is changing at the grassroots level and progress is being made. Efua Dorkenoo from the End FGM Social Change Campaign tells us we’re close to a "tipping point" in the fight against this "sexual terrorism." 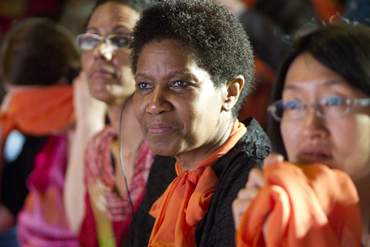 A new vision for empowering women and girls — and an exclusive guest commentary by Phumzile Mlambo-Ngcuka, the United Nations under-secretary-general and executive director of U.N. Women. 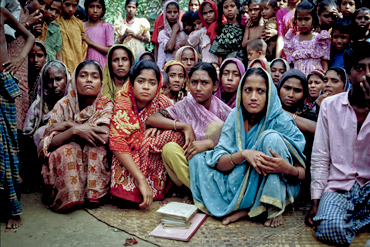 The practice of dowry often leads to violence against women and girls in ultra-conservative societies like Bangladesh. How can we fight it? One male recipient of a Women Deliver seed grant shares his story. Child marriage affects girls — but the solution to end the practice needs more than a focus on the victims. What does this mean? 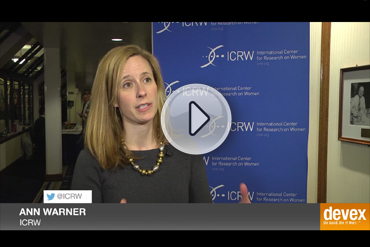 In this video interview, we asked Ann Warner, senior gender and youth specialist at the International Center for Research on Women. Egypt’s battle against FGM: What have we learned? 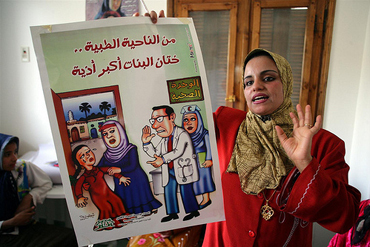 A landmark case in Egypt is providing hope to advocates against female genital mutilation. 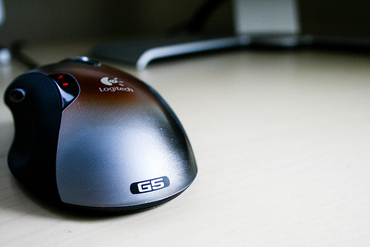 Here's how to win the uphill battle against the dangerous practice. 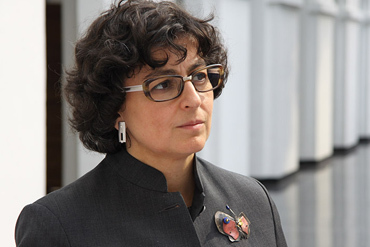 A guest commentary by the World Bank's Nihal Elwan. There's one critical group of people who at times seems to be missing from the conversation about women's empowerment — men and boys. Here's how to engage them. Garry Conille has a lot on his plate to make gender equality a reality around the world. In an exclusive interview with Devex reporter Paul Stephens, the UNOPS regional director for Africa and former Haitian prime minister discusses progress made on the MDGs, what needs to be done and how to turn political will into action in Africa. 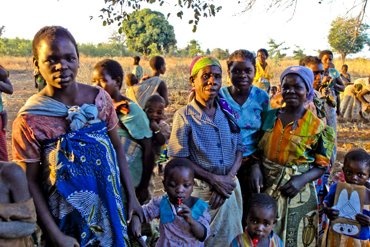 How is the U.K. Department for International Development working on gender issues in Zambia? It's all about taking the right approach, the head of the DfID office in Lusaka tells Devex Associate Editor Richard Jones in an exclusive interview. Back in 2000, the U.S. Peace Corps began giving its army of volunteers all around the world basic training in gender issues. The effort has paid off, an expert from the organization tells us in a video interview. What power does the U.S. ambassador-at-large for global women's issues really have? 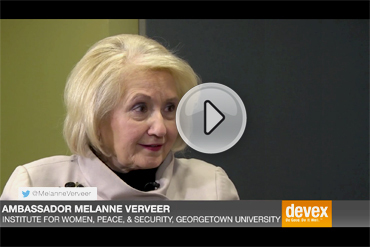 Melanne Verveer, who inaugurated the post in 2009, explains in this video interview. The Millennium Challenge Corp.'s Ginny Seitz has engineered the agency's approach to social and gender integration for the past seven years. Here's how Seitz, together with the team she assembled, helped make MCC a gender leader among its peers. 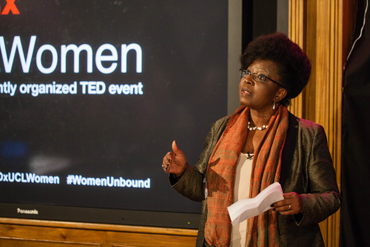 What's the most important thing we can do to empower women today? 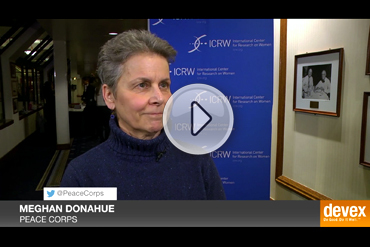 Watch Leith Greenslade's answer in this video interview by Devex Impact reporter Adva Saldinger. Who says you can’t make a difference in the lives of women around the world? Take Indrani Goradia, who began creating her own global development foundation at age 50 – with few connections and little training. What are the main challenges young international development professionals face in working on gender and women’s empowerment issues? We asked two youth leaders selected by the World Bank to take part in a summit in Brussels. 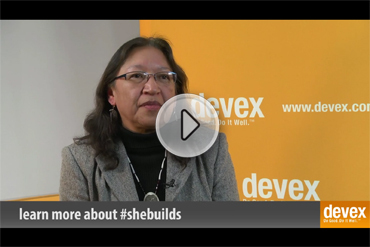 She Builds was a month-long global conversation on Devex, that began on International Women's Day in March 2014. While this particular campaign to raise awareness about the critical role of women and girls on global development has since come to a conclusion, the topic remains a key issue for all aid practitioners working toward a more sustainable future and better development outcomes for all. Devex will continue to update this website periodically, but in order to ensure you stay in the know about everything that is impacting global development, sign-up for our daily Newswire to receive a comprehensive look at breaking news, analysis and opinion directly to your inbox.